Last month, we sat down with some of our Congolese teammates who’ve been with us since the very beginning. People like José Katumba, who was instrumental to paving the way toward the first launch in Buhanga, to Michelline Engiteyo, who was based in Kinshasa for years, working with the Congolese government to get the permits and licenses we need to perate. We asked them what keeps them motivated – what gets them to work everyday. And it was amazing to hear their responses. This may seem simple, but in fact it’s far from it. A strong sense of community can be an incredibly difficult thing to achieve in a divided place like Congo, with a tumultuous history. But at Asili, people come to work at a place they feel safe. They have a common purpose. Our team recognizes the role they have to play in the larger picture of Asili, something they’re all passionate about. 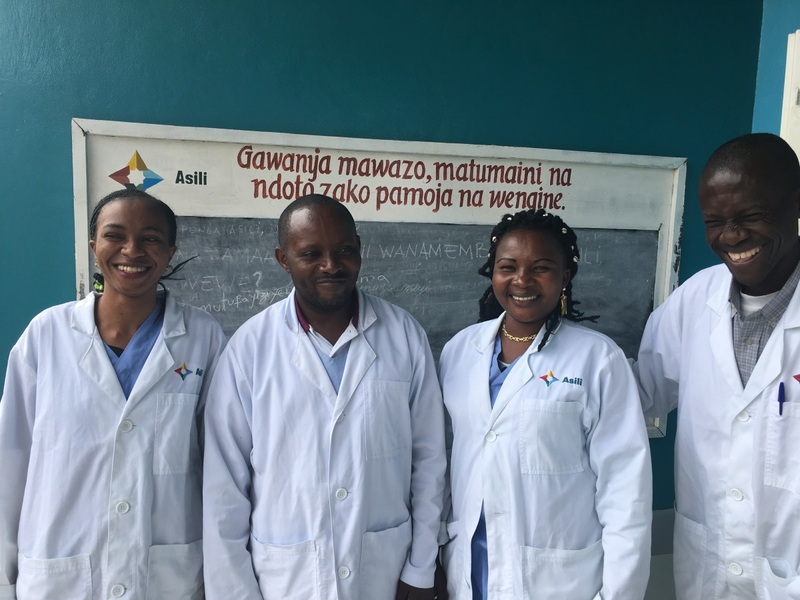 The team in Congo has a new phrase to express this feeling of oneness –“Asili is our ethnicity!” In DRC, where ethnicities are often a point of tension, not unity, this is a remarkable sentiment. “Asili is the thing that holds us together,” they say. And, he continued, he’s picked up a tip or two for how Asili runs its businesses. “I run my life using the agriculture model we created for Asili!” he said. “15% of my paycheck goes to enjoyment, 25% I save, 60% I invest. I invest in education, my wife’s & daughter’s education, in land, property, support extended family members, and savings.” Showing our colleagues a business plan that’s sustainable and profitable is making an impact not just on rural Congolese communities, but on our own team. Micheline talked about how she’s learned to be a great sales person – she’s learned how to connect with people, organize events and deal with complicated public administration. “I’ve organized so many events and meetings in Kinshasa that have pushed me to talk to important people – now I feel comfortable doing it,” she said. Investing in communities – and earning their trust along the way – is one of Asili’s guiding stars. But we’re learning that those who benefit most from Asili aren’t just the families who visit our health clinics or purchase our water. They’re also the people and their families who have made Asili possible. And that’s something to be proud of.